Good. A complete collection of Flannery O'Connor's stories. They explore the social and personal tensions of the American South-between youth and age, gentility and poverty, enlightment and bigotry. B-format paperback. 560 p.
New. 2009. Main. Paperback. Including "A Good Man is Hard to Find" and "Everything That Rises Must Converge", this collection contains a complete collection of stories from one of the most original American writers of the twentieth-century. Num Pages: 576 pages. BIC Classification: FYB. Category: (G) General (US: Trade). Dimension: 200 x 126 x 39. Weight in Grams: 446......We ship daily from our Bookshop. These stories are disturbing yet valuable. O' Connor uses symbolism and is often subtle but poignant in what she is trying to convey. 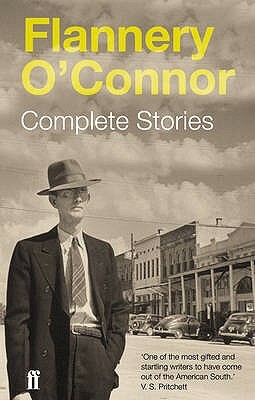 If you want to hear the voice and resonance of the deep South read this book by O'Connor. The short stories within all carry a moral message without the author moralizing. Each tale is refreshing and moving because O'Connor is a master story teller. Her use of metaphor and simile is superb and she is one of the best writers at it. Some stories are better than others, of course, but all are very readable. I regard the book as a treasury. I purchased this for a friend and also for my daughter, Melissa Simpson, as she wrote a biography on O'Connor several years ago for school use. What a great snapshot of a different time and place -- that really aren't that different. These are timeless stories that are a joy to read and reread. After reading this book two years ago, I've never quite been able to get away from it. I start it over and over again. Each time, about half way through, I'm overcome by the uncontrollable urge to start it over again - revisit the feelings evoked by her words. The stories are haunting and beautiful and scary. The forward was written with such love that you feel as if you're traveling with Ms. O'Connor as she writes and edits each story. Some of the opening stories are a little rough, but if you stick with her, you're going to be rewarded. If you have an aspiring writer in your family (not for children or very young adults), buy them this book. Each page is an example of Great Writing and they will be a better writer for having read its words.